The venue will be The Old Dunstonian's Sports Club, St Dunstan&apos;s Lane, Beckenham, Kent, BR3 3SS. Rounds will be York, Hereford, Bristols 1 to 5. Medals are awarded for the first 3 places in the junior rounds, and according to the number of entries in the senior rounds. The Judges should be Mark Davis, Tony Harris, Debbie Horn & Steve Vallis. More details and entry form. There will be a 6 week beginners course on Tuesday evenings at the Old Dunstonian&apos;s Sports Club, St Dunstan&apos;s Lane, Beckenham, Kent, BR3 3SS. Our beginner&apos;s courses are staffed by three/four qualified coaches helped by a number of senior club members all of whom are DBS checked. 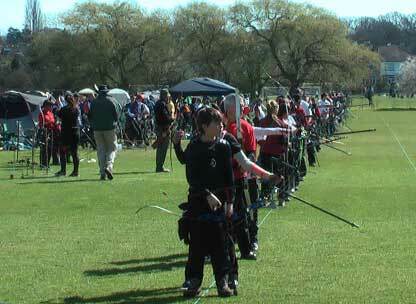 This means that usually there is a ratio of one coach to two archers, more often one to one help is available. Shooting and training takes place under supervision and to the ArcheryGB rules so we are fully covered by third party insurance. We provide all the equipment you will need and ensure that the equipment is suited to your personal physique and as the course goes on we can change the equipment as required. Full details and an application form can be found here. Welcome to the Crystal Palace Bowmen&apos;s website. We are a friendly club who are lucky enough to be able to use the grounds of the Old Dunstonian&apos;s Club in Beckenham since about 1970. The club meets every Sunday (weather permitting!! ), on most Tuesdays and some Thursday evenings during the summer. We also have use of an indoor range on Tuesday evening during the winter. Club members can also shoot during the week. We welcome all styles of archer (recurve, long bow, compound etc.) and have four coaches who can work with archers to help them improve. 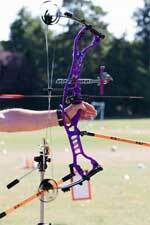 We are affiliated to ArcheryGB (otherwise known as GNAS the Grand National Archery Society), the Kent Archery Association, the Southern Counties Archery Society. We now have a facebook page: https://www.facebook.com/cpbbowmen. From the first Sunday in September to the end of April, we have the field in the afternoons until it starts to get dark. We can start getting ready from about 12:30 while the Munchkins are putting their stuff away and be ready to start at 1pm. From the first Sunday in May until the last Sunday in August, we should get there at about 9:30 to start at 10am and have the full day. (Except for a short break about 12:45 while the Munchkins put their stuff away.) Some times we can start in the mornings a little before the end of April, so check your emails from Mark during April. Tuesdays from October to the end of March are usually indoors in the banqueting hall at Club Langley. This is the other side of the barriers in Hawksbrook Lane. We don&apos;t usually have to move the tables out of the way, but we have to avoid damaging the glitter balls and chandeliers. Tuesdays from April to the end of September there is usually someone on the range in the afternoon and evening until it starts to get dark. That is unless it raining. The beginners course runs in the evening from mid May until we have at least 6 rain free Tuesdays. For other days you either need a key, or to ask someone with a key if they will be there. Some members have formed a closed WhatsApp group to try and make this easier.